Please note: Only the German text is binding. The English translation is for convenience. The Managing Board of Fabasoft AG (Register No. 98699x) has compiled this report in order to fulfil the requirements of the Austrian Stock Corporation Act with regard to a capital meas-ure authorised by the Annual General Meeting, thus establishing the statutory requirements for implementation of a capital increase. The actual implementation of the capital increase, the time of its implementation, the final issue volume and the final issue price are to be determined by the Managing Board and the Supervisory Board of Fabasoft AG by way of further resolutions. In compliance with § 4 (Share Capital) (5) of the Articles of Association of Fabasoft AG the Managing Board is authorised with the approval of the Supervisory Board to increase the share capital of the company by up to EUR 15 million, if necessary in several tranches by a nominal value of up to EUR 5,000,000, by issuing up to 5,000,000 no-par shares both against contributions in cash as well as, in compliance with § 172 AktG, against contributions in kind, and in addition to determine the terms of the issue in agreement with the Supervisory Board (authorised capital pursuant to §§ 169 et seqq. AktG), whereby the Managing Board is also authorised to issue the new shares if necessary under exclusion of the subscription rights of shareholder’s to which they would otherwise be entitled (§ 170 (2) AktG). The Managing Board intends, with the approval of the Supervisory Board, to issue up to 1,000,000 new voting no-par bearer shares and to exclude the subscription rights of the shareholders of Fabasoft AG for the planned issuance. The new shares are to be offered to one or more institutional and/or strategic investors against cash contribution within the frame-work of a private placement and will carry full entitlement to dividends as of the fiscal year starting on April 2017. It is intended to calculate the issue price in a customary bookbuilding procedure, which must be based on the weighted average stock exchange closing price of the Fabasoft AG share (XETRA) and must not be more than 5% lower than this value. The issue of the new Fabasoft AG shares to one or more institutional investors is intended to take place, after sounding out and investigating the situation on the capital market, at the ear-liest two weeks after the publication of this report and at the latest by 30. June 2018 and after approval is given by the Supervisory Board of Fabasoft AG. 1. The exclusion of the shareholders’ subscription rights to the new shares, which do not exceed a share of 10% of the share capital of Fabasoft AG, is in the best interest of Fabasoft AG and its shareholders and therefore objectively justified. The exclusion of the subscription rights serves to cover the capital requirement of the company com-paratively quickly and cost-effectively through the direct and efficient addressing of strategic investors or a new institutional circle of investors. The exclusion of the sub-scription rights for a private placement of Fabasoft AG shares with institutional and/or strategic investors is in the best interest of Fabasoft AG and its shareholders in as far as this is the only means of ensuring that institutional and/or strategic investors sub-scribe to the Fabasoft AG shares to a sufficient degree, thereby strengthening the eq-uity base of the company and its capital requirement. 2. Furthermore, the exclusion of the subscription rights is an appropriate means for sig-nificantly reducing the costs of the capital measure. Under certain conditions a private placement with exclusion of subscription rights may prevent the considerable costs that would otherwise arise in the case of a public offering with the prospectus obliga-tion this entails. This greatly reduces the costs of raising the capital. 3. With regard to the involvement of national and international institutional and/or strategic investors it is necessary that Fabasoft AG is able to act quickly and flexibly where eq-uity capital transactions and/or the issuance of quasi-equity financing instruments are concerned. Institutional and/or strategic investors impose special requirements, in par-ticular in respect to the structuring of a transaction and flexibility in the timing of the share issue or quasi-equity financing instruments. As a rule such requirements can on-ly be met with an issuance under exclusion of subscription rights. In contrast a sub-scription rights issue could result in it not being possible to address institutional and/or strategic investors, or only with a low issue volume, due to organisation and allotment mechanisms not normal on the market and/or the market risk arising for these inves-tors within the minimum two-week subscription period. 4. In the case of the planned issue of new Fabasoft AG shares the issue price will be based as closely as possible on the stock market price of the Fabasoft share thus pre-venting a dilution of the existing shareholdings as far as this is possible. The price per share of the planned issuance will be determined by the Managing Board with the ap-proval of the Supervisory Board and is to be based on the weighted average stock ex-change closing price of the Fabasoft AG share and shall not be more than 5% below this value. This will enable every shareholder to purchase the shares necessary to maintain their amount of holding in the company to essentially the same terms on the stock exchange. 5. 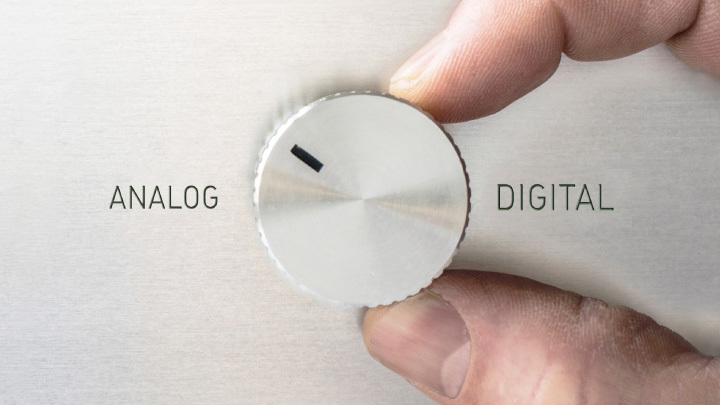 In view of the restriction of the exclusion of the subscription rights to a share of 10% of the share capital and of the market for Fabasoft AG shares, a dilution of the participa-tion in the company value and the voting rights of the shareholders can be kept within reasonable limits. The orientation of the issue price on the stock exchange price will enable any shareholders interested in maintaining their amount of holding in the com-pany to purchase the respective number of shares this requires to essentially the same terms on the stock exchange. For this reason an exclusion of subscription rights to the above-mentioned extent is also generally regarded are permissible under German stock corporation law. 6. The purpose of excluding subscription rights in the case of a capital increase is to en-sure strategic investors or a completely new circle of investors can be addressed di-rectly and quickly and to raise financial resources, whose share does not exceed 10% of the share capital, comparatively quickly and cost effectively, if new shares are of-fered to one or more institutional investors within the framework of a private place-ment and the issue price is not more than 5% below the weighted average stock ex-change closing price of the company share. By dispensing with a time-consuming and therefore also costly processing of the subscription right, the capital/financing require-ments of Fabasoft AG (restricted to a volume of 10% of the share capital) can be covered quickly and effectively. This is not only in the best interest of Fabasoft AG, but also for the above-mentioned reasons in the best interest of all shareholders. 7. The exclusion of the subscription right therefore constitutes an appropriate means for achieving the objective, namely the participation of institutional and/or strategic inves-tors in Fabasoft AG and is not disproportional, so that the exclusion of the subscription right is objectively justified. 8. 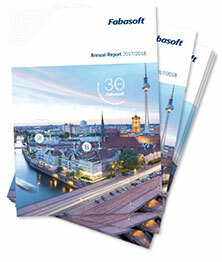 The Managing Board of Fabasoft AG has therefore concluded, taking all the above-mentioned circumstances into consideration, that the exclusion of the subscription right for the issuing of up to 1,000,000 new voting no-par bearer shares, that are to be offered to one or more institutional and/or strategic investors against cash contribution within the framework of a private placement, is necessary, appropri-ate and proportionate within the restrictions indicated above for achieving the objective and is also in the best interest of the company and shareholders and objectively justi-fied. 9. In compliance with § 171 (1) AktG this Report of the Managing Board is also made public on the website of the company (www.fabasoft.com) and is available for perusal at the company.